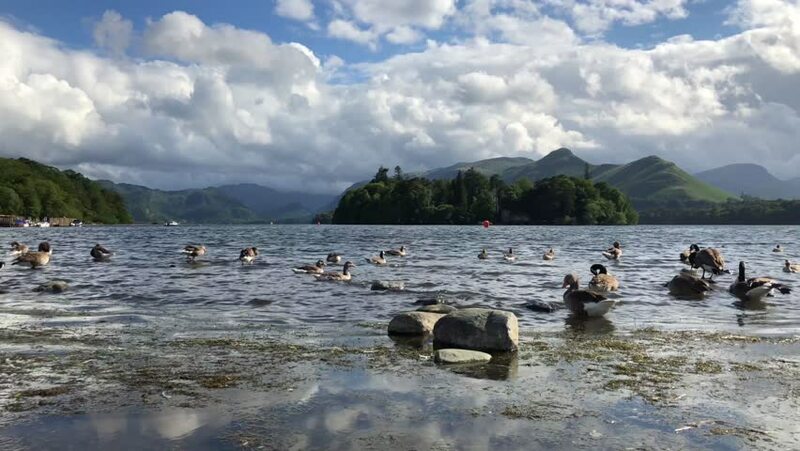 4k00:06Ducks and Geese on Derwent Water at Keswick in the Lake District, Cumbria, England under a blue partly cloudy sky. Filmed at 60fps. hd00:16Elephants by the Klaserie River - African Elephant – the setting; early morning, a river bend in the beautiful Klaserie river and in the distance some elephants seeking water. Ellies moving left.